Central cooling systems are both powerful and efficient. Make it a Warm Winter. High-efficiency furnaces from Lennox will keep you cozy! Our maintenance plans keep your HVAC system running safely! Mid-State Mechanical Contractors, LLC handles all of your home comfort needs, regardless of the weather outside. When the extreme cold or brutal heat of the Mifflinburg seasons drives you inside, we put perfect temperature control in your hands, at the touch of a finger. No weather is too tough. Attractive design, rugged construction, extreme efficiency, quiet operation and outstanding, worry-free dependability come standard with the lasting comfort solutions provided by Mid-State Mechanical Contractors, LLC. For prompt, enduring repairs, cost-effective maintenance and ease of installation, call Mid-State Mechanical Contractors, LLC. We deliver quality and professional repair to the Mifflinburg area, handling minor to major problems with all makes and models of air conditioning and heating systems. Our certified technicians have the industry training and experience to provide thorough and competent seasonal service for the longevity, dependability and highest possible efficiency of your heating and cooling equipment and ductwork. 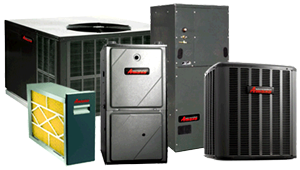 We professionally install the top names in heating, cooling and ventilation to bring year-round temperature control, innovative technology, time-saving features, improved air quality and comprehensive warranties to our valued customers. Contact Mid-State Mechanical Contractors, LLC for full-service HVAC! With the severe weather swings we experience in Mifflinburg, home owners demand a lot from their HVAC systems. You expect trustworthy temperature control, noiseless and reliable operation, optimum efficiency levels, ideal indoor air quality, without breaking the bank, year in and year out. Mid-State Mechanical Contractors, LLC not only meets your expectations but exceeds them. Through conscientious installation and annual service, your family will enjoy uninterrupted, affordable home comfort season after season. Our service technicians receive ongoing training in the latest industry standards to ensure the highest quality workmanship available in the Mifflinburg community. We are a locally owned business, serving our friends and neighbors to the very best of our ability. Our priority is your comfort, and we take it seriously. When you call Mid-State Mechanical Contractors, LLC, rest assured you will receive dedicated attention, ethical service, fair pricing and top-of-the-line heating and cooling.